Since the beginning, Mercedes-Benz engineers have devoted each minute of their time to a moment they hope never happens. In the process, they’ve set benchmarks that the rest of the automotive industry follows to this day. Mercedes-Benz vehicles are designed to protect you in ways that you might have never imagined — and with the hope that you’ll never have to. Mercedes-Benz of Easton has assembled this guide to give you a better understanding of the sophisticated systems and groundbreaking technologies found on every Mercedes-Benz vehicle. Innovation has always fueled the passion of Mercedes-Benz engineers to pioneer safety technologies. They’ve made history for introducing many of the safety features that are now commonplace in the industry. 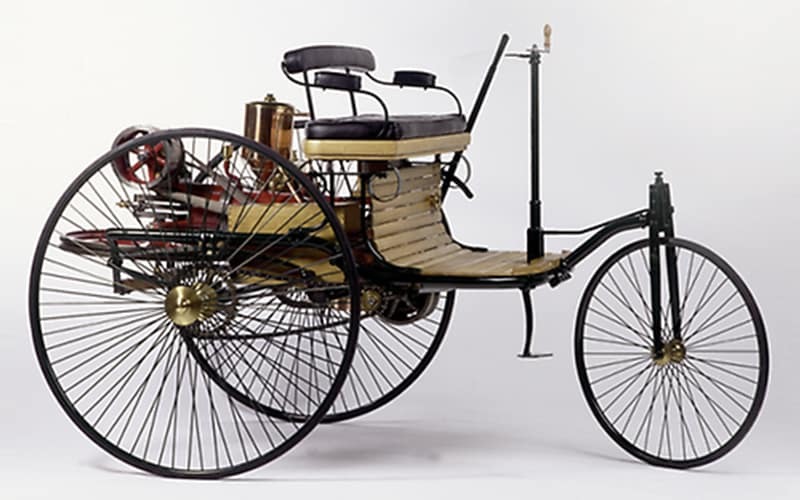 Below are just a few of the milestones that have made their debut on a Mercedes-Benz vehicle. With brakes that adapt to the road, you’re always prepared to come safely to a stop. 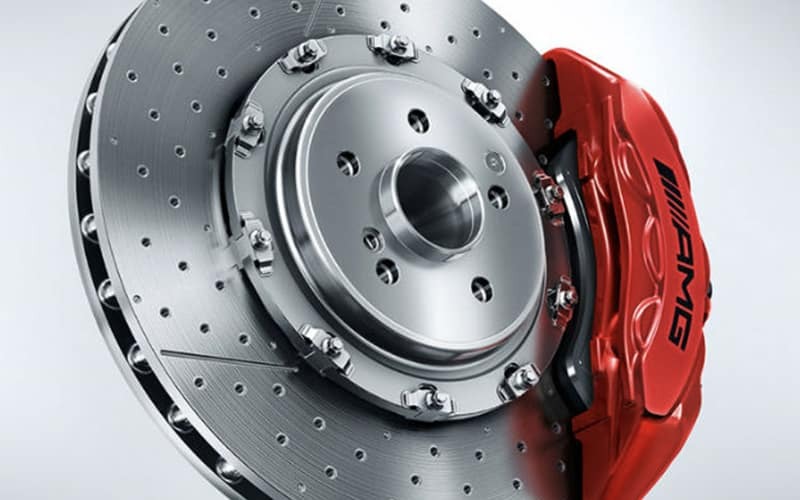 Predictive Brake Priming detects when a driver’s foot suddenly lifts off the accelerator, then brings the brake pads closer to the wheels in anticipation of a panic stop. Automatic Brake Drying applies a subtle amount of brake pressure to remove built-up water from the discs when driving in rainy conditions. When at a stop on an incline, Hill-Start Assist prevents the car from rolling back when lifting your foot off the brakes. If you’re stuck at a long light or at a complete stop in traffic, the brake HOLD feature keeps the vehicle in place without your foot on the brake pedal. You’ll always have a helping hand right by your side when traveling on multi-lane roadways. Going a step beyond your mirrors, Blind Spot Assist uses radar sensors to identify a vehicle is alongside yours. A red icon will appear on your side mirror and if you signal for a lane change, an audible alert will notify you. 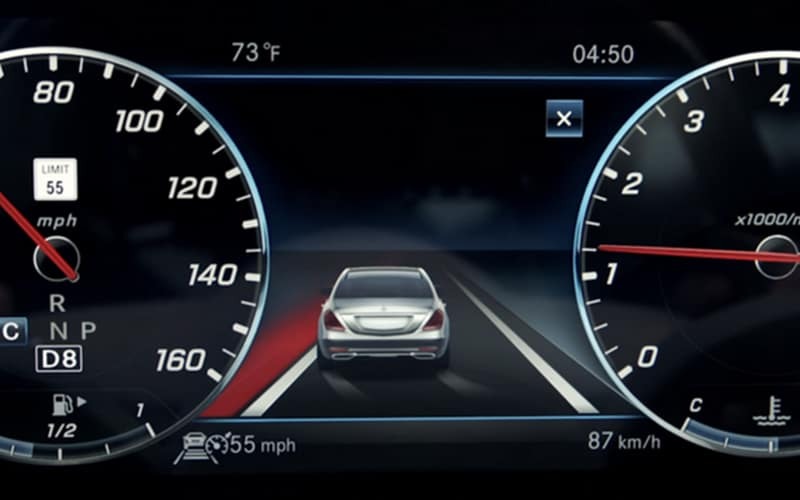 Using a specialize camera, Lane Keeping Assist scans markings on the pavement as you drive. You’ll feel the steering wheel vibrate in the event that you begin to drift out of your lane. Both systems use advanced active technology to apply the brakes on one side of your vehicle, helping to guide you safely back into position. The simple truth is that even behind the wheel of the most exciting vehicle, driver fatigue is a dangerous situation that can impact you on a long journey. Another industry first for Mercedes-Benz, ATTENTION ASSIST® identifies over 70 parameters in the first minutes of your drive to understand your individual driving style. As the miles go by, the system will detect certain steering corrections that suggest the onset of drowsiness. Other factors taken into consideration range from crosswinds and road smoothness to how frequently you interact with vehicle controls and switches. 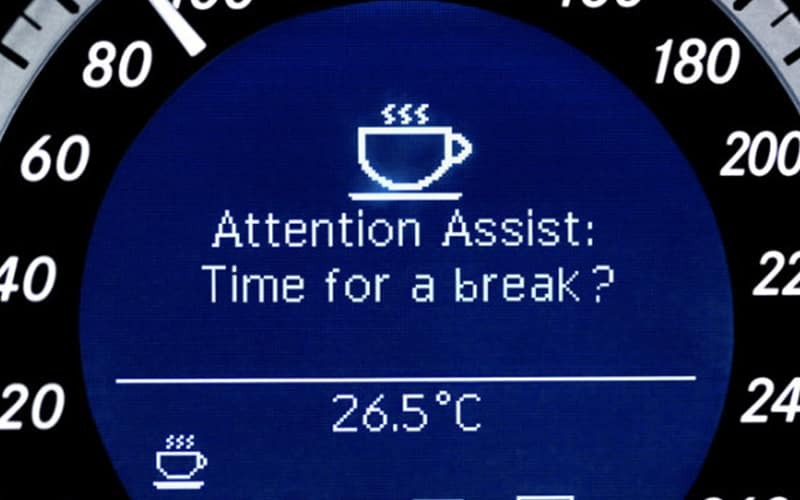 Should the system determine driver fatigue, ATTENTION ASSIST® will encourage you to stop and rest with an audible notification. Proper following distance is vital to safety on the highway, especially when cruise control is engaged. 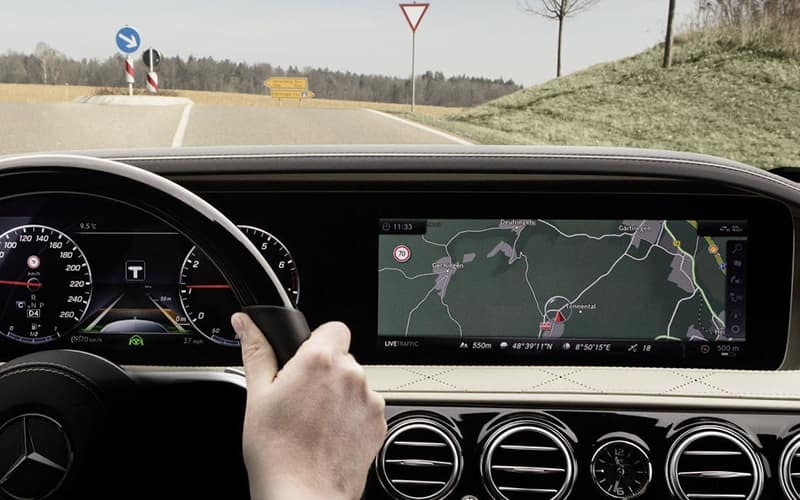 Enabling Active Distance Assist DISTRONIC® allows your Mercedes-Benz to maintain a selectable set of following distances between itself and the car in front. Should traffic slow or come to a stop, the vehicle will respond by slowing down accordingly or even reaching a complete stop. Alongside features like Active Speed Limit Assist and Active Steering Assist, Mercedes-Benz infuses ingenuity into every vehicle when it comes to safety. In the event of an imminent collision, the Mercedes-Benz PRESAFE® system will prepare the vehicle in the precious seconds beforehand. An extensive network of sensors allows PRESAFE® to detect certain critical conditions such as extreme skidding. Next, it can close the windows and sunroof, adjust front head restraints and passenger seat, and tighten the front seat belts. These reactions prepare the occupants for more effective and potentially life-saving results from the restraint systems. 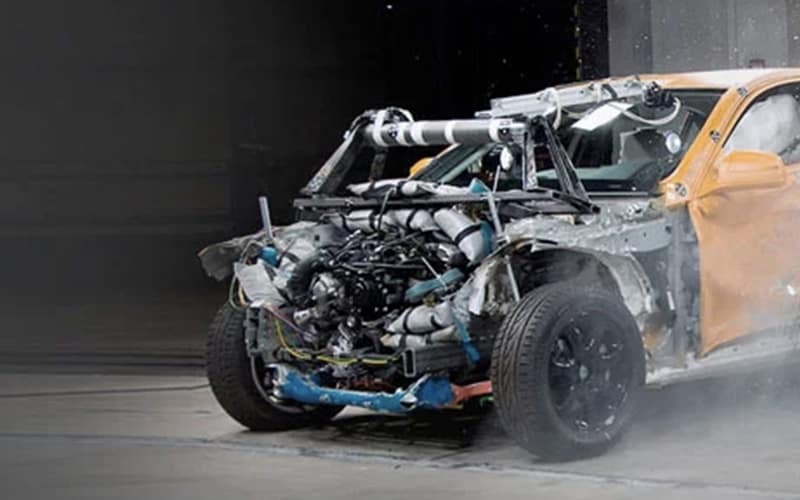 Not only will PRESAFE® optimize the safety systems of your Mercedes-Benz, it optimizes yours as well. Select models are available with the PRESAFE® Sound feature which emits a harmless noise tuned specifically to trigger a reflex inside your ear to safeguard it from the pressures of a loud crash. When it comes to safety, no other brand prioritizes you and your family more than Mercedes-Benz. 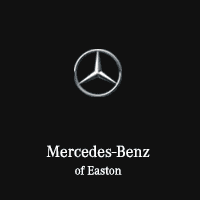 Mercedes-Benz of Easton invites you to come experience our extensive lineup of models available with groundbreaking safety innovations.